Michelle Everroad — Salon FundRaiser . . . . . . . . . . STEP (1): SET UP YOUR PERSONAL SALON FUNDRAISER ACCOUNT . . . . . . . . . . STEP (2): CREATE A FUNDRAISING CAMPAIGN OR PAY $100 FOR US TO CREATE ONE FOR YOUR PROJECT . . . . . . . . . . STEP (3): SHARE YOUR CAMPAIGN ON SOCIAL MEDIA THEN ASK FRIENDS AND FAMILY TO GIVE AND HELP SUPPORT YOUR PROJECT . . . . . . . . . . STEP (4): WHEN YOU REACH YOUR GOAL YOU CAN COLLECT YOUR MONEY IN AS LITTLE AS 30 DAYS . . . . . . . . . . . STEP (5): USE THE FUNDS TO FINISH YOUR PROJECT!!! . 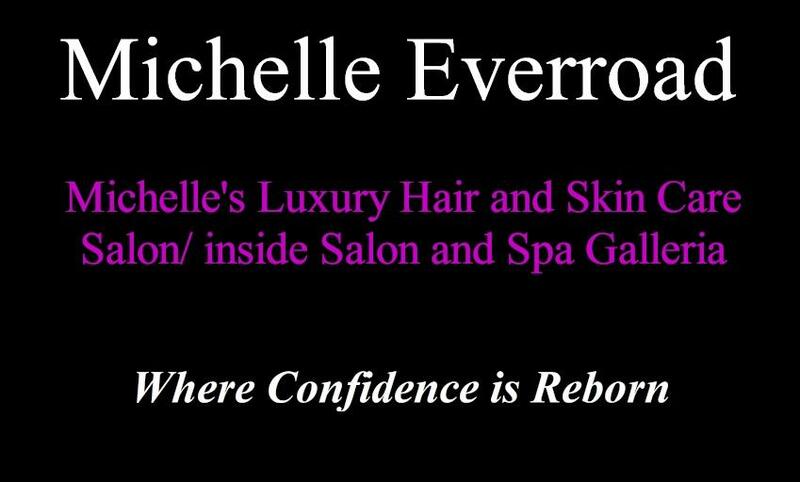 . . . . . . . . . . . . . .
Michelle Everroad is an independent Hairstylist/ Certified Health Specialist owner of the Grapevine hair salon , offers the finest hair salon experience in Grapevine, Southlake, Flower Mound, and surrounding areas. Michelle has blended both her passions and her beliefs, beauty with in and out, for when one feels good on the inside they will show it on the outside, and when they feel good about themselves on the outside, they show it on the inside, total harmony. Can not have one with out the other. Michelle has over 20 years of cutting edge experience as a master Hairstylists, Michelle offers the ultimate in hair care and nutritional supplements, Doctor and Hospital most used Hot Heads Hair Extesnions, SoCap USA hair extensions, Schwartzkopf hair color, Keratin hair straightening, Michelle's Organic Hair and Skin care, Teeth Whitening, Bridal Hair Styling in the Dallas Fort Worth Metroplex. As part of the competitive and constantly evolving hair and beauty industry, Michelle's Grapevine hair salon and Grapevine Hair Extension Salon strives to stay up to date with the newest trends in hair techniques and nutrition.